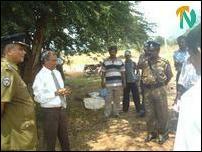 LTTE's checkpoint after the no-man-land area at Omanthai checkpoint complex. At a function headed by Mr. K. Ganesh, the Vavuniya GA and Returning Officer of the Elections, several senior officers of the Ceylon Electricity Board, including Mr. Rajaratnam Muthuratnananthan, the Northern regional Deputy General Manager, Mr. Selvarajah Prabhakaran, the Electrical Engineer for Vavuniya, Mr. Kadirgamu Thavarajah, the Vavuniya Electrical Superintendent, and Mr. Markandu Vijayasiri, Assistant Officer, participated. 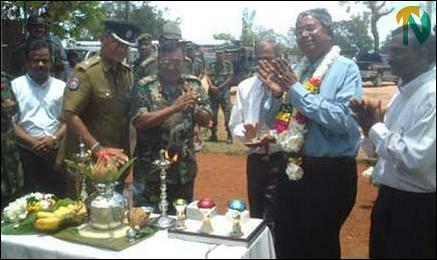 On behalf of the security forces of Sri Lanka, Vanni regional commander Maj. Gen. D.S.K. Wijesooriya, Omanthai regional commander Brigadier Mosath, the Omanthai Deputy Superintendent of Police responsible for the elections, Mr. Neville Guruge, also participated at the ceremony. 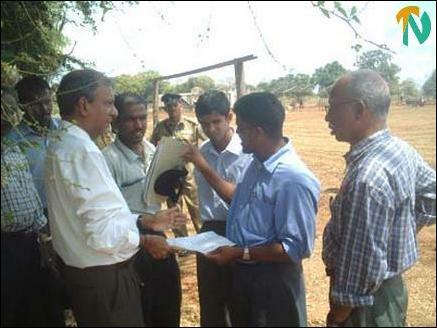 Mr.Ganesh, the Vavuniya GA, is seen with Nevile Guruge (extreme left) Asst.Supdt.of Police who is in-charge-of Omanthai clustered polling booths. 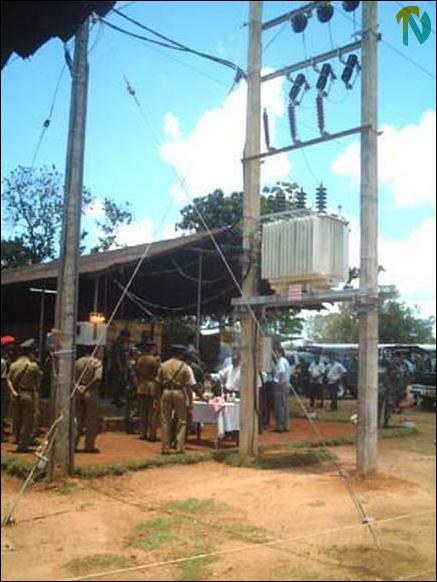 The European Union granted 22 million rupees for supplying electricity to the Liberation Tigers Checkpoint, located in Puliyankulam, 9.5 kilometers from the Omanthai Maha Vidiyalayam (School). Out of these funds, 8 million rupees were used for the supply of electricity to the Omanthai SLA checkpoint, officials noted. 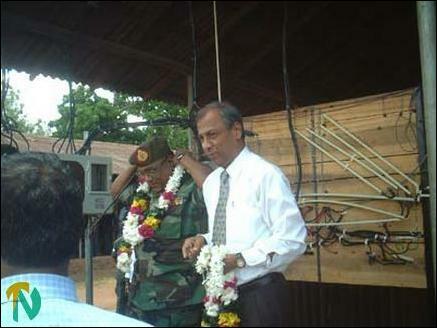 Sixty three polling booths have been constructed at the Omanthai School for the voters in LTTE-held areas of Vanni, including the Mullaithivu district. 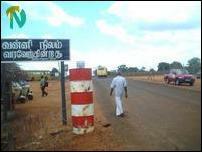 Officials reiterated that in order to complete the arrangements for the voters, the Omanthai and Muhamalai checkpoints will be closed at 1 p.m. on Thursday and on Friday only voters from the LTTE-held areas who will vote in the general elections will be allowed through the checkpoints. Mr.K.Ganesh the Returning Officer and Major General D.S.K.Wijesooriya the Security Forces Commandar - Vanni are seen after received as guests at the ceremoney of electricity inauguration at Omanthai Checkpoint. New Transformer at Omanthai Checkpoint Complex.